Honor Roll Member – Powers, Linda Sue (Waltermire) « Perry High School Alumni Association, Inc.
Dr. Linda Waltermire Powers, whose family has lived in the area since the Cherokee Strip Run of 1893, was born in Perry and attended Perry Schools from 1st through 12th grades, a foundation that allowed her to earn three college degrees. A career educator, she has influenced thousands of students and hundreds of teachers as a teacher, administrator and educational consultant. She earned her Bachelor’s degree in Language Arts Education at OSU in 1970 and taught high school English at Billings, Fort Gibson, Blackwell, and Ponca City. At Ponca City, she became English Department Chair and helped to initiate the first Advanced Placement English class which she taught for 15 years and helped many students earn college credit while taking a rigorous curriculum in high school. During her time in the classroom, she was named to Outstanding Young Women of America, 1984. In 1988, she received the Oklahoma Foundation for Excellence, Outstanding Secondary Teacher and was listed in Who’s Who Among American High School Teachers, 1990, 1993, 1996. While teaching fulltime and helping to raise a family, she completed a Master’s degree in English at OSU in 1993. In 1995, she went to Ponca City Schools Central Administration as an Instructional Coach who did professional development for teachers in the district, and later served as Curriculum Director responsible for helping the district to create an aligned curriculum. She completed her doctorate in Curriculum and Instruction in 1999. At a time when only 5% of the high school principals and superintendents in Oklahoma were women, she became the first female principal of Ponca City High School. And in 2005, she became the first female high school principal for Perry High School, serving until 2009. 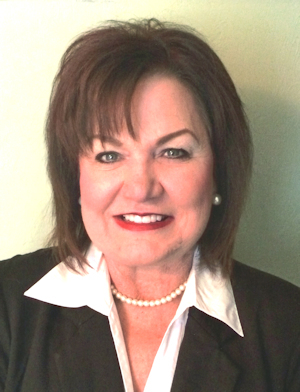 While serving as a school administrator, Linda was selected for state professional leadership organizations, such as Oklahoma Educators’ Leadership Academy, Class of 2002 and Oklahoma Principals’ Academy, Class of 2004. She served the Academy of State Goals in the area of education. Also a servant of the community, Linda is a graduate of Leadership Ponca City, Class of 2002. A member of Ponca City Rotary, she served on the Board of Directors and as President. She was also a member of the Perry Rotary Club, and a member of the Perry Chamber of Commerce Board of Directors from 2008-2010. Currently she is a member of Perry Study Club and serves on the PHS Alumni Association Board of Directors and the Perry School Board. After retiring from the principalship, Linda served many schools in Oklahoma and Kansas as an educational consultant for Literacy First. Today Dr. Powers teaches English for Northern Oklahoma College at Stillwater and supervises student teachers in English Education for OSU. However, Linda is most proud of her family, her husband of 47 years, Jack and her two children: Brett Powers and Leah Powers (1974-2010).